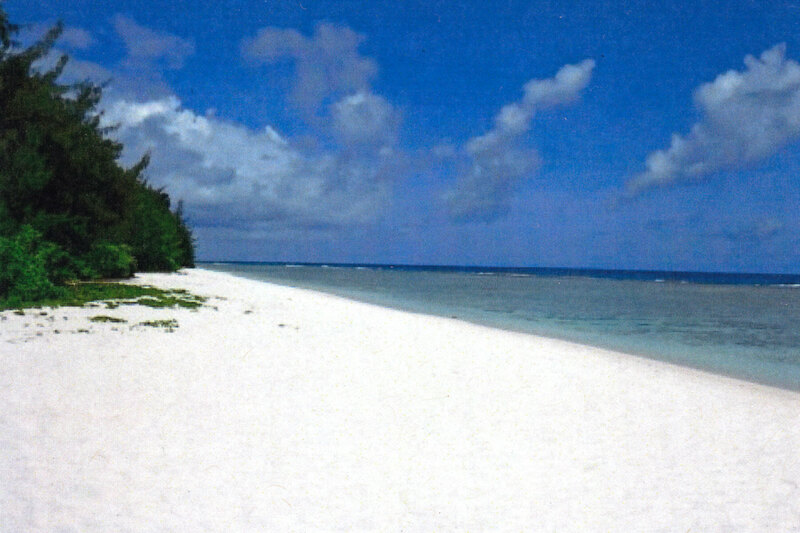 My favorite beach while on Guam was secluded NAVFAC beach, located at Ritidian Point on the northernmost part of the island. The beach, located at the base of a 600-foot cliff, was only accessible by driving down a steep, winding road to reach the water way down below. It was quite a view! The place was absolutely beautiful with white sand beaches and unblemished views of the ocean. Other than the main NAVFAC facility there are no buildings or stores or other commercial structures to be seen anywhere. It was like you were stranded on the deserted island. The real beauty of the beach was that it was it on the grounds on a restricted U.S. Navy facility and closed to the general public. It was open to DOD personnel but you still had to make a reservation for the private picnic areas. The place, essentially part of the former World War II-era Northwest Field, was off the beaten path and most people had no idea the place even existed. My family (and my parent’s friends) would go there on weekends and have bbqs at one of the private pavilions located just off the beach. It was awesome as you basically had your own stretch of beach for the whole day. My dad would arrange for my baseball teams to have our season ending picnics there as well. 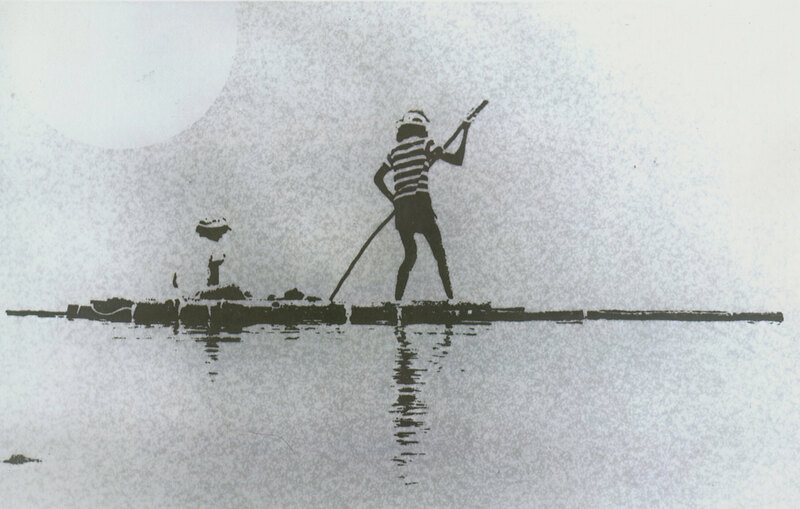 One of my favorite days there was when I found a large bamboo raft, which I heard some Boy Scouts had constructed a week earlier, and toiled around on it with my friend Ronnie Gyure. One of my dad’s friends took a black & white photo of us floating on the raft and it appeared it the local newspaper. Another time with a friend (last name Carpenter - he lived in FAA housing) I remember digging a huge hole and sand wall on the beach, and hiding behind as the waves came crashing in with the rising tide. I still remember that like it was yesterday! 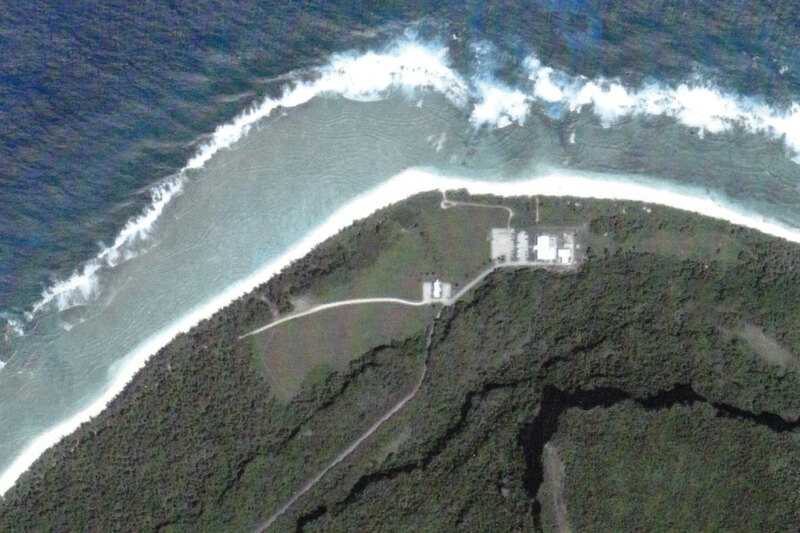 There was a break in the reef near the NAVFAC building (known as the Ritidian Channel) and when the tide was high sharks would actually swim into the beach area. When that took place Navy personnel would come sprinting down the beach and warn everybody to stay out of the water! When the tide was low it seemed all the water would fall over the reef. With hardly any water remaining you could literally walk all the way out to the reef’s edge. It was kind of weird but a great time to look for shells. The Naval Facilities Engineering Command (NAVFAC) on Guam, established back in December 1968, closed its doors in September 1992. A year later the U.S. Department of Defense turned the beach area and adjoining property, some 750+ acres in all, over to the U.S. Department of Interior’s Fish & Wildlife Service (FWS). This caused some additional strife among local families who owned the property prior to World War II and wanted it back. 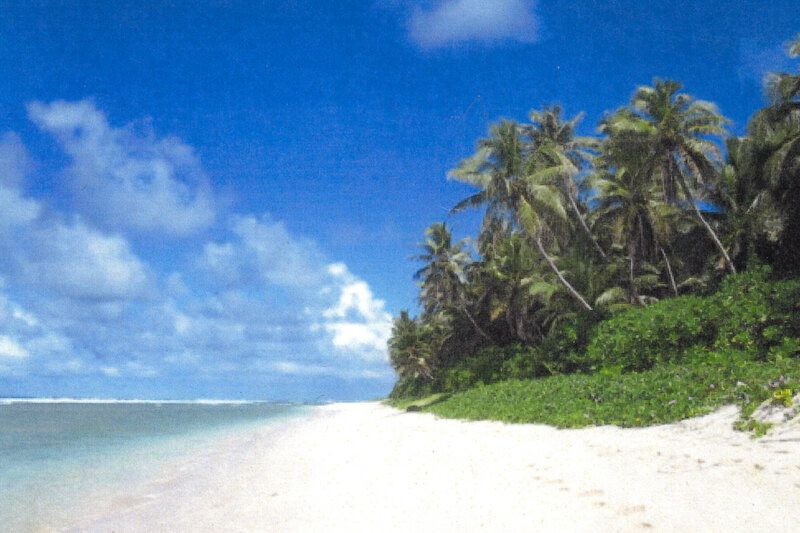 That strife is just part of an ongoing bitter battle on the island between the Department of Defense, the Government of Guam, and the former landowners. 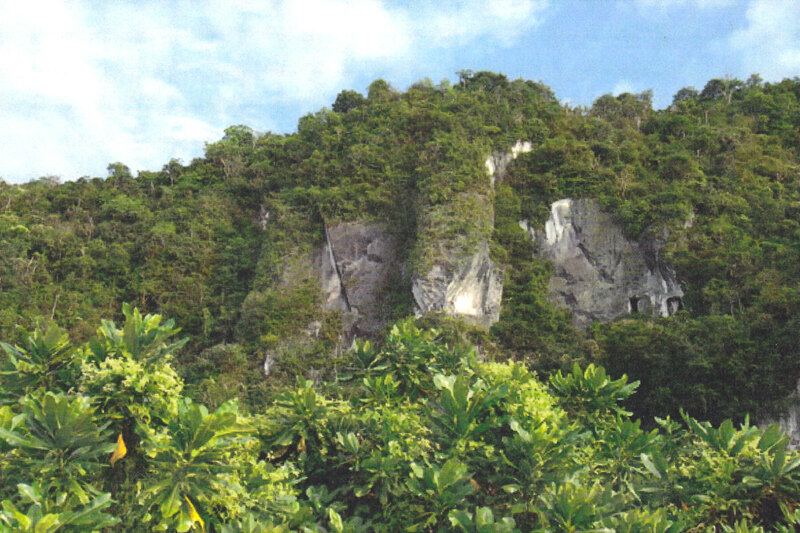 In 1993 the FWS established the Ritidian Unit as part of the 1,200-acre Guam National Wildlife Refuge, to protect and control threatened species, local habitat, and cultural resources. The 50-acre beach area is open to the public and receives thousands of visitors every year. Ritidian Point received worldwide attention in early 1999 when a long-hidden limestone cave was found containing ancient hieroglyphic drawings. The walls of the so-called Star Cave contains drawings, estimated to be at least a thousand years old, that included constellations and what experts believe is a 16-month calendar. A Nature Center was opened near the beach in April 2007 to help educate visitors about the area. Ritidian Point remains a special place to me and I hope to return there one day.